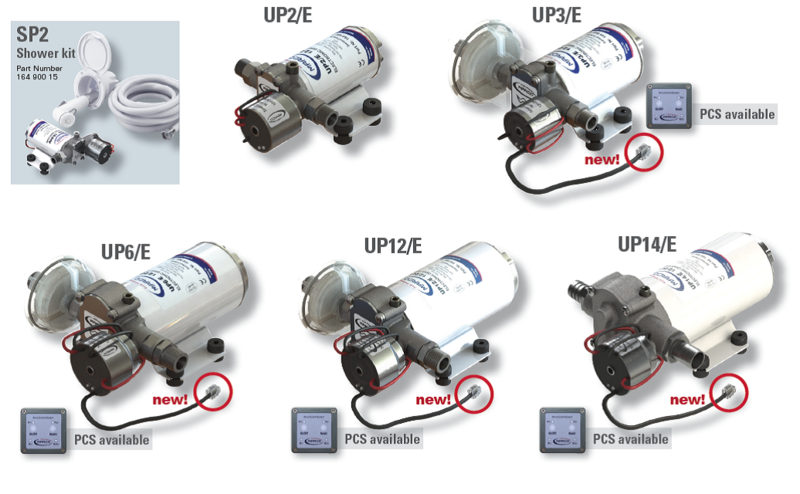 Self-priming automatic electric pumps with helical PTFE gears, integrated check valve and electronic control. Nickel-plated brass body and stainless steel shaft. Control card available. Main applications: fresh water pressure systems and shower kits on boats, sailing boats and campers. Available also in 13.8 gpm, 17.5 gpm and 21.1 gpm.